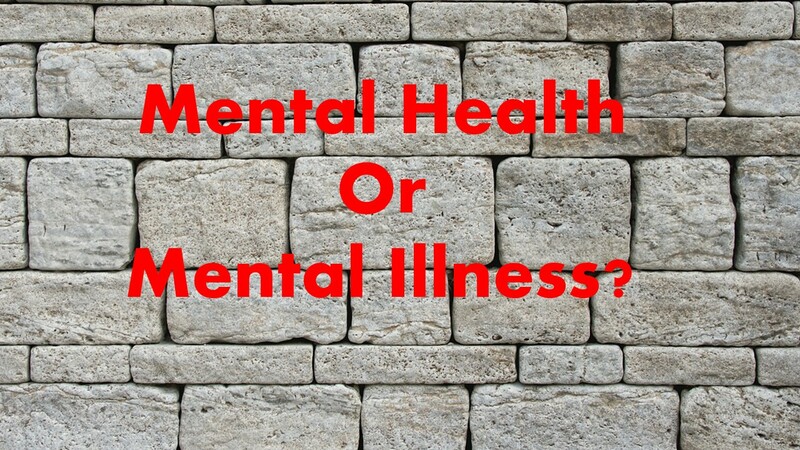 Are you catching a mental illness? How would you know if you were becoming mentally or emotionally sick? Some mornings I wake up a little out of sorts. Maybe a cough, maybe a headache or just a general feeling of tiredness. Am I getting a cold or flu or is this just a difficult morning? This is the allergy season, or maybe it is the cold and flu season, am I coming down with something? I hope not. There is this morning routine, for me, it is mostly the same each day. Hit the bathroom, comb my teeth and brush my hair, no wait, that should be the other way around. Maybe just brush them both. Then I take my vitamins and an allergy pill and hope the headache or other symptoms will go away. Blowing my nose, that might help also. You get the idea of my routine? Lastly, I feed and water my cat and slow down long enough to pet her a few times. But if, after a while, I am not feeling better, say after my morning coffee and some light breakfast. Now I am thinking maybe I am getting sick. If by mid-day I am still coughing sneezing and feeling tired something is surely wrong. What would happen if I were developing a mental or emotional disorder? Would I know? Do you? This does not mean that you could catch a mental illness from someone the way you might catch a cold. We know of no germ that will get you mentally ill. Hanging out with someone who has schizophrenia will not give it to you. Being around someone with Bipolar Disorder will not make you Bipolar. Being “stressed out” or living an unhealthy lifestyle, that may put you at added risk to develop a mental illness, however. We believe that there are things that you might do to wear your body out and increase your risk of a physical illness, staying up to late, not enough sleep, poor diet and being in unhealthy surroundings all increase your risk of getting a cold. Taking good care of your physical body will reduce your risk of physical illnesses. But you might do everything right and still catch a cold. Same thing is true of depression, anxiety, stress-related disorders and a lot of other emotional and mental illnesses. If I am sneezing, coughing, have headaches and so on I am thinking cold. There are certain signs and symptoms that should make me think maybe I am developing an emotional problem. Remember my daily routine above? The last thing I do before I start my day is feed, water, and pet the cat. If I forget to do this, or just do not feel like doing it one morning, this is, for me, a sign that I am not mentally at my best. These signs and symptoms are different for everyone. How would you know if you are having a good day? How would you know if you are having a bad day? Being a professionally trained person I know and could rattle off the symptoms of a number of mental disorders. For me, they are relatively easy to spot during an initial assessment interview. But let them happen to me personally and I may not notice these signs till it is way too late. Remember that mental health professionals are not immune to stress, anxiety, and depression. We should know tools to work on those things if they ever happen to us, but most professionals, like other people, don’t always spot those instances in ourselves until someone else notices them. One thing that is very helpful is to take a look at your life, daily and maybe in longer increments. What do you do when feeling emotionally at your best and what are you like when you are getting less well? By knowing what you are like on a good day and then what you are like when things are headed in the wrong direction you are in a better position to do something about those off days before they become stretches of mental illnesses. If you want more information on this topic, how to get and stay mentally well. Take a look at the works of Mary Ellen Copeland. Her WRAP (Wellness and Recovery Action Planning) program includes lots of material on this and many other areas of life. WRAP has come from the consumer movement. People who have had a diagnosed mental illness and have recovered. People who have been brave enough to talk about their recovery. This information has influenced the direction of professional treatment. Professionals like Kay Redfield-Jamison who have openly talked about having a mental illness have also impacted the view we take of treatment for mental illnesses. There was a time when professionals thought that once you had a mental illness, that was it, your life now needed to be turned over to others to control. We know now that throughout the lifespan people can become less well or they can become more well and that there is this thing that we now call the wellness and recovery continuum. My suggestion to those of you who have read this far is to educate yourself about mental health and wellness and see if there aren’t things you can do to improve your mental health no matter where you may be on that wellness and recovery continuum. This entry was posted in Mental Health, Self help skills and tagged Kay Redfield-Jamison, Marry Ellen Copeland, mental illness signs and symptoms, mental illnesses, Wellness and recovery, Wellness and recovery action plan, wellness continuum, WRAP by David Joel Miller. Bookmark the permalink.